Over the last few years I have really enjoyed delving into various different arts and crafts, mainly knitting and a little crochet; however recently I have been undertaking more and more sewing projects as I think my confidence is starting to grow that I can actually make things that are of use! I was recently asked by the lovely people at Hobby Craft if I would like to review a sewing machine; I already own a sewing machine, so I was a little hesitant at first. The sewing machine I currently have is all singing, all dancing, and if I am honest I am only scratching the surface as to what it can do! I eventually agreed to the review as I decided it would be interesting to test out a sewing machine that is aimed at the beginner to intermediate levels, and possibly better suited to my current needs and skill level. Hobby Craft stock a wide range of different sewing machines and accessories; they also have lots of lovely craft items. It is a shop that I could literally spend all day; its my idea of heaven, however hubbies bank account would not agree! Hobby craft kindly sent me the Brother LS14 Sewing machine, which currently retails at £69 and comes with all the necessary accessories for a beginner wanting to learn how to sew. When the box arrived on my doorstep, I was pleasantly surprised at how compact and lightweight the machine was; there is, in my opinion, nothing worse than having a really heavy sewing machine as it becomes a chore to get it out and put it away. The tutorial DVD that comes with the sewing machine is great as it tells you in really easy step by step instructions how to set up the machine and everything works, I found it much easier than reading the manual. 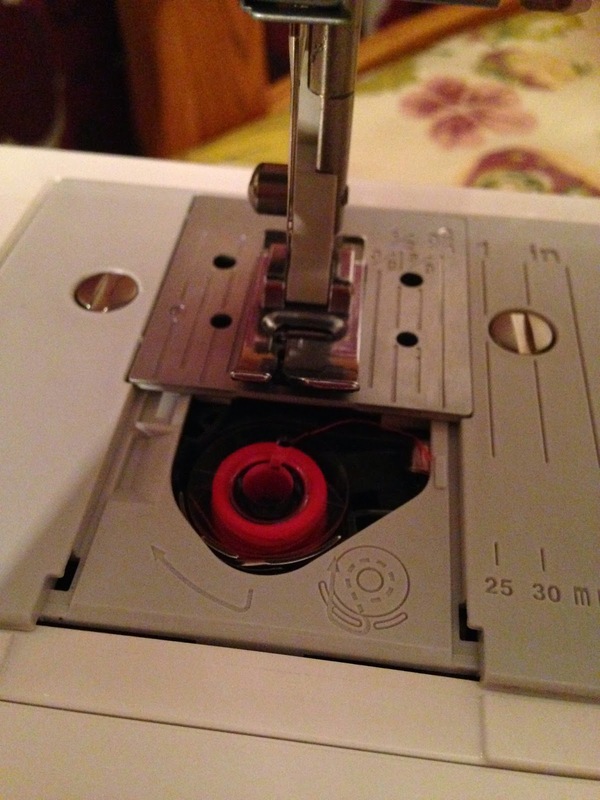 My 1st task was to set up the sewing machine, I found it very easy to wind thread on the bobbin, all you do is place the thread spool onto the holder, maneuver the thread around the top of the machine as indicated by the various arrows, then place a bobbin onto the spinner and hit the pedal, and off you go. I then threaded up the sewing machine its self ready to start sewing. Threading up is easy to do, all the sewing machines I have used follow a very similar principle, just follow the arrows; if you do struggle, I recommend consulting the DVD as it explains this in very easy steps. There is one thing I love about Brother sewing machines, and that's how easy it is to place the bobbin into the machine (this is used for the bottom side stitches), all you do is drop the bobbin into tray and follow the arrows with the thread, and that's it, its all done! There really is no messing around like other machines that I have used. I think its great that Brother has incorporated this into its entry level sewing machines, as it is one feature that I love on my main machine. 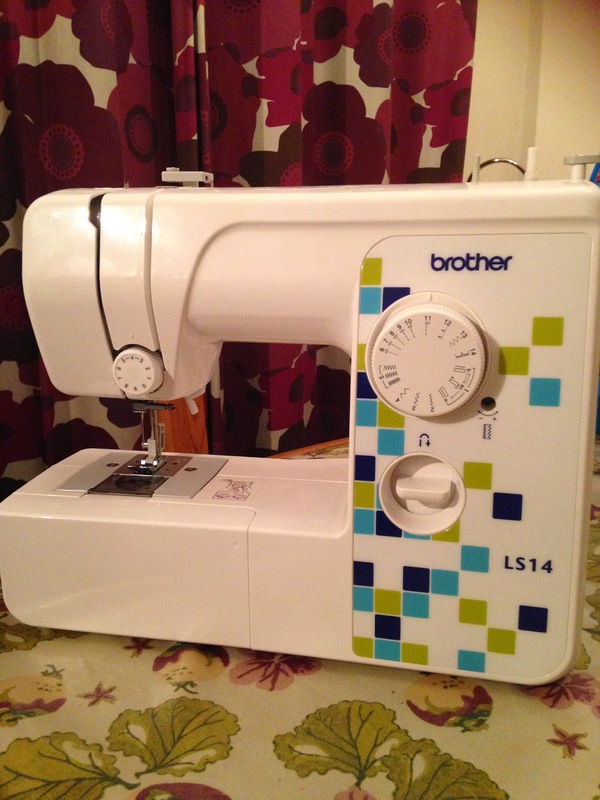 The Brother LS14 has 14 different stitch options which is more than enough for any beginner or anyone who just need a simple sewing machine for every day use. The machine makes nice clean, straight stitches and the foot pedal is very response so you can go slowly if your a novice or faster as you become more confident. 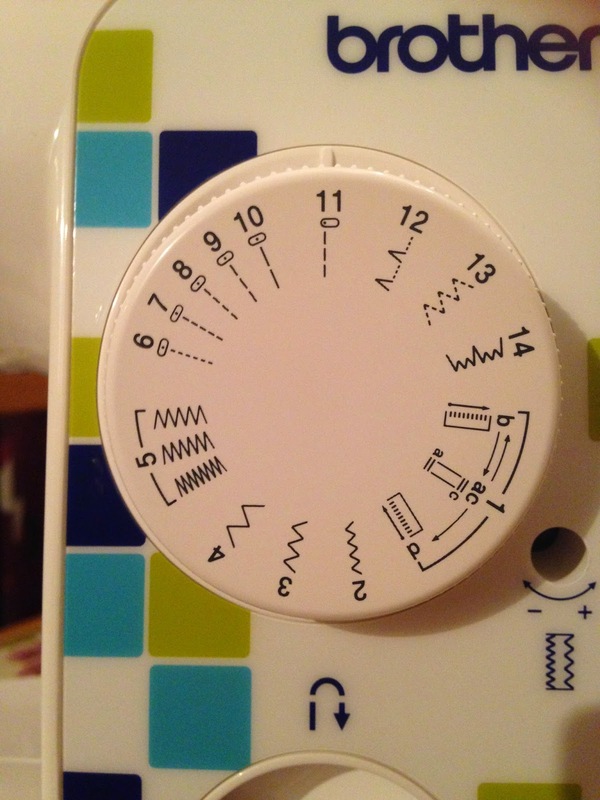 The machine maintains thread tension and you can set the tension to how you prefer it. All in all I have been really impressed with this machine and I wouldn't hesitate to recommend it anyone who is considering taking up sewing, or for someone who would like an everyday sewing machine. The only slight negatives I can find with the machine is that it doesn't come with a thread helper (to help easily thread the needle), or extra wide table like my main machine has, however I would not expect these on an entry level model, and this shouldn't deter anyone from buying one. You can buy various extra for the sewing machine including a soft carry case, a quilting foot and various other different types of feet. You may want to purchase some more bobbins as I like to load up my bobbins with colours beforehand so that I can get going on a project straight away. Up until now I have really just been playing around with the machine to test out the various stitches, I now need to make up my mind what I am actually going to make, thankfully Hobby Craft have posted loads of great ideas on their blog .... so watch this space! Disclaimer: I was given this Sewing Machine by Hobby Craft for free to review, however all thoughts and opinions are my own. is it suitable for jeans?? Yes I believe it would as I have sewn 4 layers of fabric together with ease with this machine. Can I use a stretch twin needle with it. I have not used a twin needle with this machine but I believe that yes you can. Which stitch will provide a good stretch that I can use for Jersey leggings? would this be ok to sew organza on do you think? Hi do you know where I can find a quilting foot for this machine?